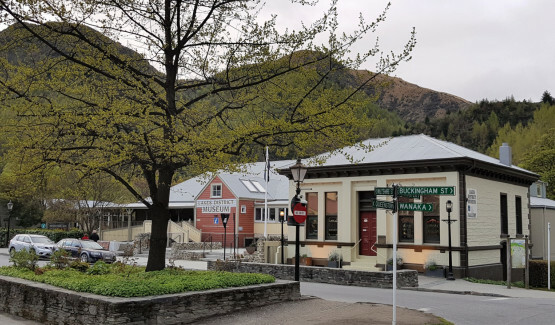 Firmly rooted on the banks of the Arrow River, the historic settlement of Arrowtown harks back to an age of fortune seekers, migrant workers and the hunt for gold. Central Otago is built on it. Easily split, this metamorphic rock inlayed with quartz was used to build quaint stone houses with dirt or rock floors. Many remain and Arrowtown has an abundance of them. Now days, fancy million-dollar houses mimic the same in keeping with history. They, of course, have convenient underfloor heating and electricity, a luxury our forebearers went without. Quarters were tight. These old-fashioned tiny houses generally only had one room with a fireplace for cooking and warmth. Massive stone slabs lined the floors for those who had the strength and inclination, others resided on cold dirt. Immigrants including the Irish, Scottish and Chinese panned for gold in the Arrow River, suffering through intense winter conditions with meagre supplies. 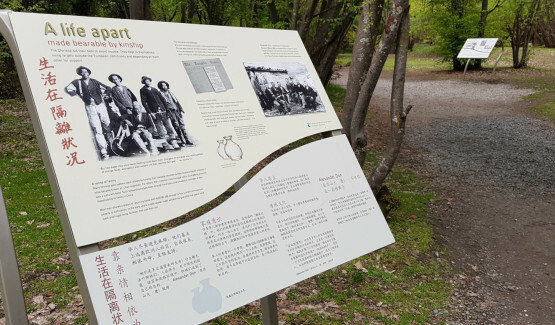 Their stories are told in the Arrowtown Chinese Settlement. 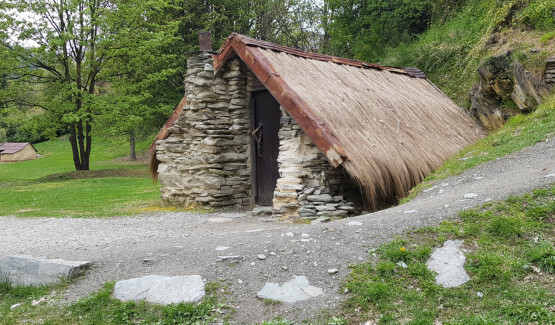 Makeshift huts are nestled into schist boulders on the hillside and tiny tin shacks give an insight into the hardship and tenacity of those who lived here. Interpretation boards relay the history of early settlers. Nearby Dudley’s Cottage, built by Irishman William Butler in the 1880’s, served as a supply store. Butler was a Wagoner, and earned a modest living in the transport and supply trade. Dudley’s Cottage is now a café. Outside you can turn your hand to a bit of gold panning. 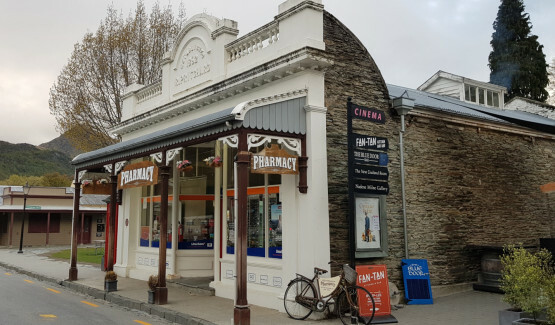 The main street of Arrowtown appears as it may have more than 100 years ago. Old stone stores offer a plethora of goods, souvenirs, and of course, gold. Cute cobbled alleys lead to galleries, boutique style restaurants, a swish movie theatre and sunny green spaces. Lakes District Museum stands proudly at the end of Buckingham Street and is a pleasure to visit. Here, stories and personalities are brought back to life relaying tales of triumph and tribulation in often inhospitable surrounds. Nearby Macetown also has a long and arduous history. Accessed by a series of walking, cycling & 4WD tracks, it’s an interesting place to explore. 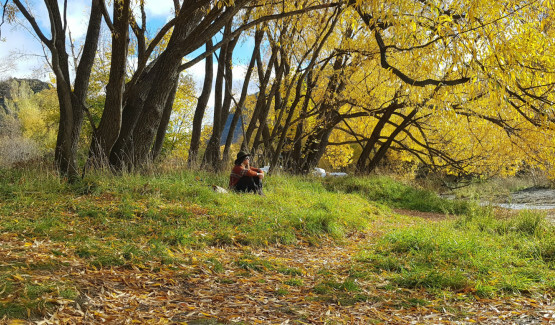 Hedged by several species of trees, Arrowtown is a magical and spectacular sight in Autumn. The banks of the Arrow become littered with technicolour leaves as deciduous trees shed their foliage. 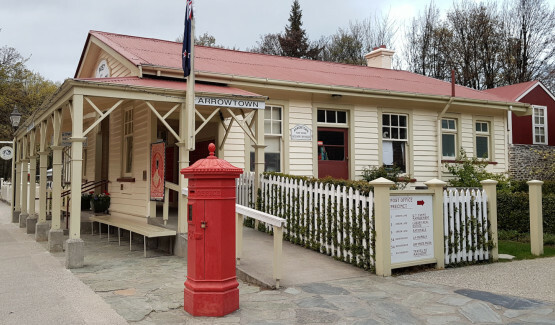 Arrowtown has a little bit of something for everyone. Excellent walking and cycling tracks are enjoyed by locals and guests alike. Boutique stores and aromatic cafes make browsing the quality goods on offer a delightful day out. A photographer’s dream, the many historic sites and buildings afford fabulous photo op’s. Parking is plentiful and a free all-day parking area including campervan parking is set aside for day trippers adjacent to the river. If you're into sampling some of the regions best vino, jump on board a wine tour. 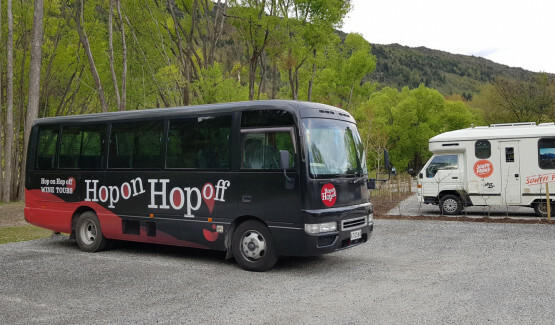 Hop On - Hop Off Wine Tours will chauffeur you around local cellar doors in a comfortable coach. You can disembark and reboard at your leisure. Set aside a day to truly explore and acquaint yourself with this delightful historic hamlet. Take in the stories and set your mind back to a time when finding the tiniest nugget of gold was the difference between survival and absolute despair.